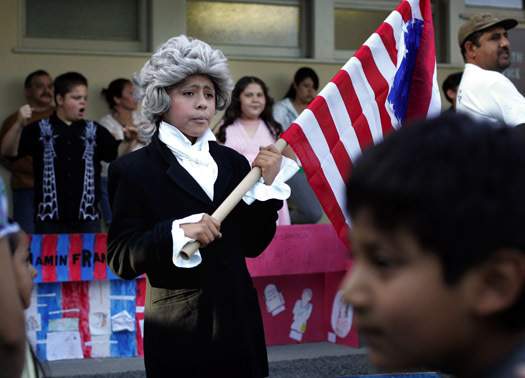 Above, fifth grader Ricardo Quitl, 10, takes his position as George Washington. 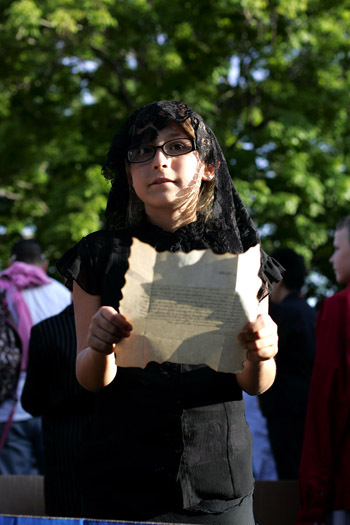 Above, fourth grader Jazmin Davis, 10, as Tamsen Donner. 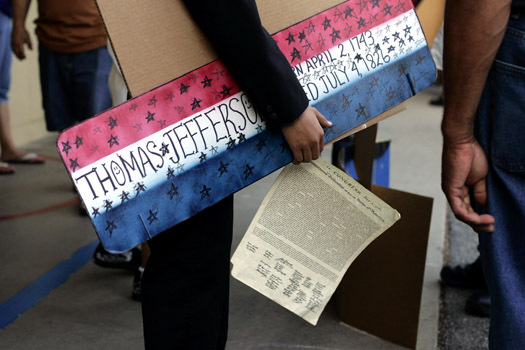 Above, fifth grader Erick Miller, 11, as Patrick Henry. 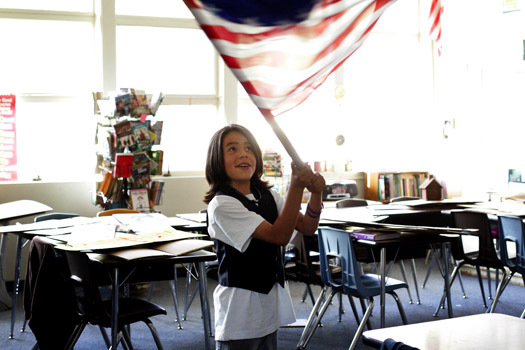 Above, Raymond Lopez, 10, waves his friend’s flag in a fifth-grade classroom at Dalton. 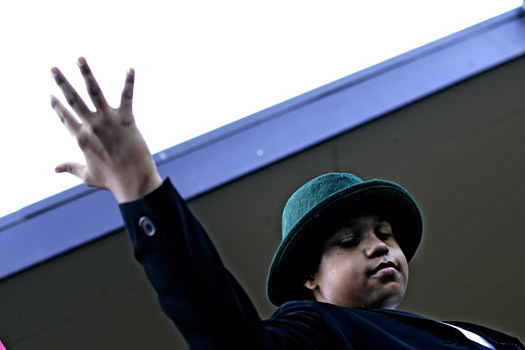 Students, above, pack up after the Famous People Wax Museum event.